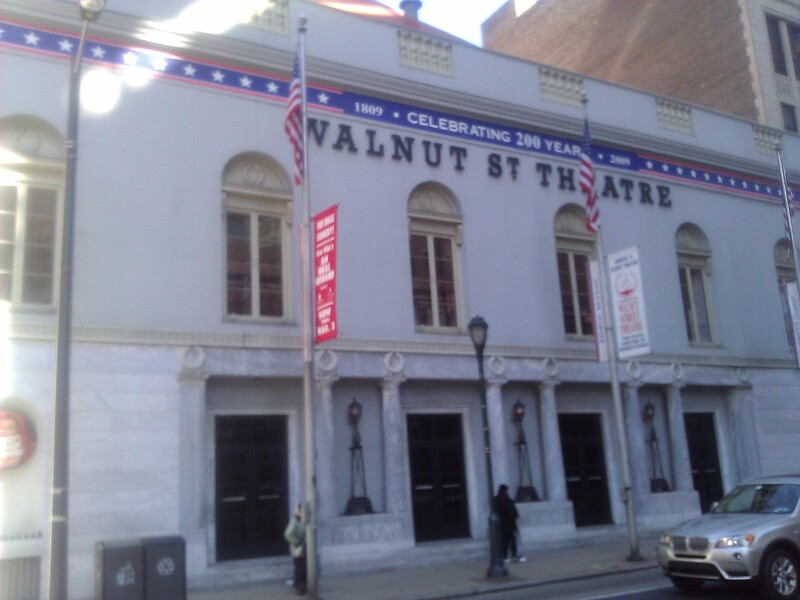 I recently attended a play at the Walnut Street Theatre in Philadelphia, billed as the oldest theater in America (and as the oldest continuously occupied theater in the English-speaking world). I’m always dubious when I see the declaration that a place is “the oldest” in America. A little healthy skepticism is what historians are taught. Yet a two hundred year history, beginning in 1809, is pretty impressive nonetheless. The lobby and stairs are plastered with the photos of illustrious stars from America’s past who have performed on the stage. A young Edwin Forrest, America’s first professional actor and a prominent Shakespearean actor of the nineteenth century, made his professional debut on the Walnut Street stage in 1820 at the age of 14 . The Who’s Who of American actors who have graced its stage is as comprehensive as you can imagine. All of the big names passed through the building. 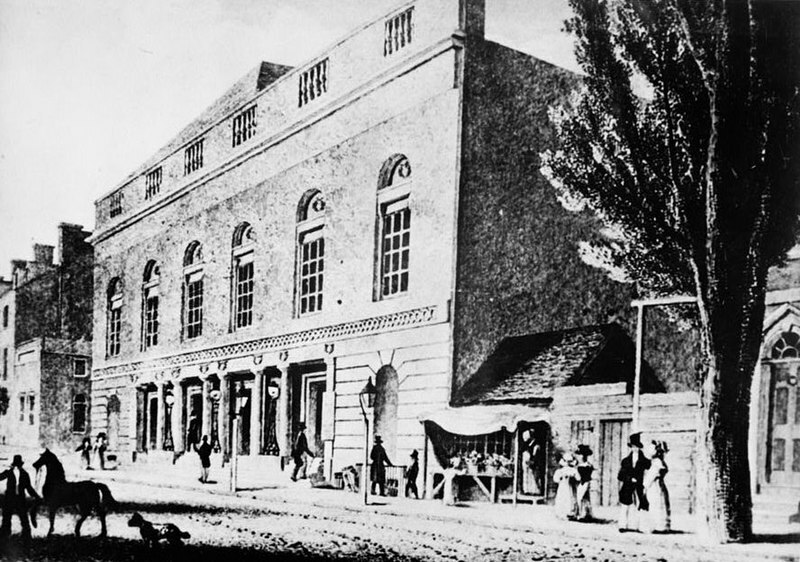 Originally an equestrian circus, the building was converted to a legitimate theater in 1812. The first play was The Rivals and Thomas Jefferson and the Marquis de Lafayette attended opening night. 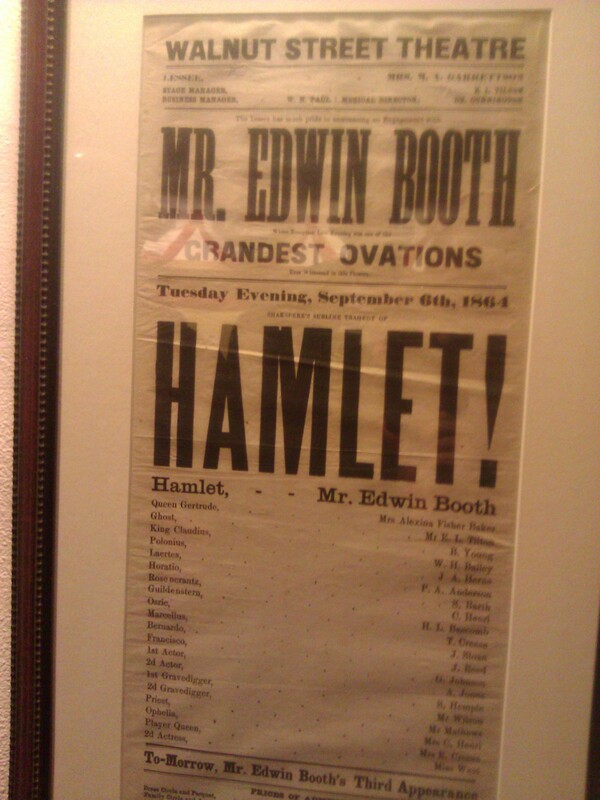 Edwin Booth, of the famous Booth family of actors, purchased the theater in 1863. His brother, John Wilkes, a noted actor in his own right, became the most infamous person in America when he assassinated President Lincoln two years later. In the 1940s, the theater began to host pre-Broadway tryouts of plays that would go on to become classics: A Streetcar Named Desire, A Raisin in the Sun, and The Diary of Anne Frank, to name a few. 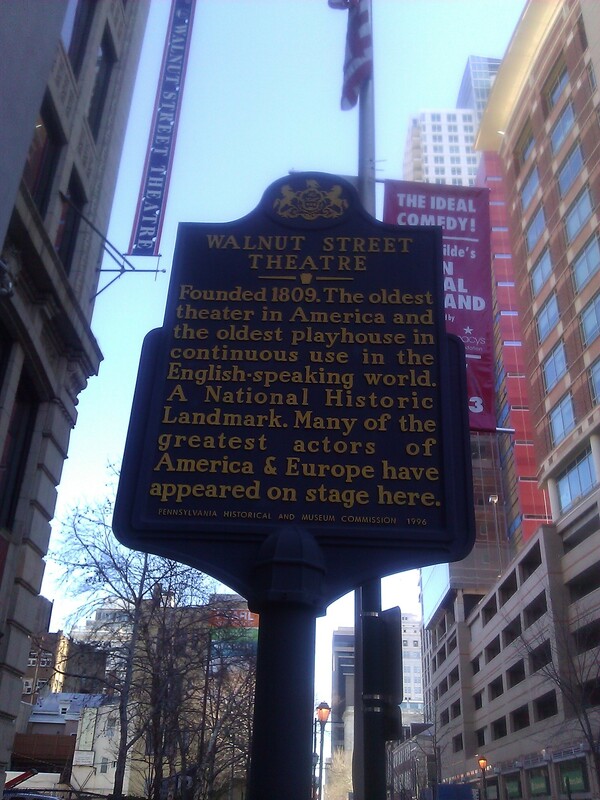 Other firsts, according to the theater website, were gaslights (1837), air conditioning, copyright law and curtain call. I’m a bit dubious again. Curtain call? Sadly, over the years various renovations have stripped the interior of any historic charm. What is arguably one of the country’s most historic theaters doesn’t really look “historic.” But this National Historic Landmark remains a vibrant theater and few, if any, theaters in the United States can rival its history. In 2008 it celebrated its 200th season of live entertainment. Have you visited a memorable historic theater? Which one? This entry was posted in 19th century, 20th century, art and culture and tagged PA, theater. Bookmark the permalink.